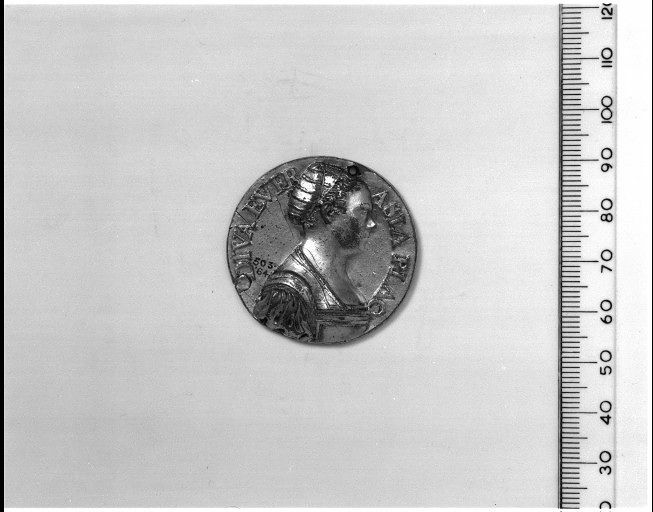 This is a bronze gilt medal made in Italy in about 1525. 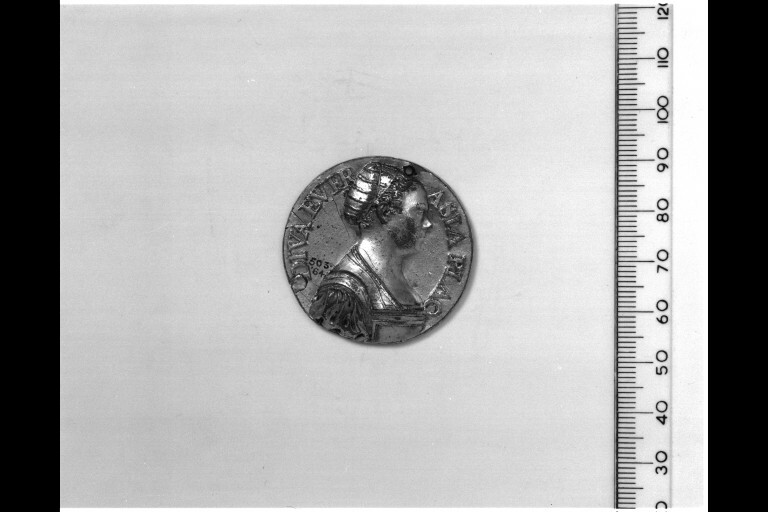 The obverse of this medal shows the bust to the right of a lady and the inscription 'Diva Euphrasia Plac'. 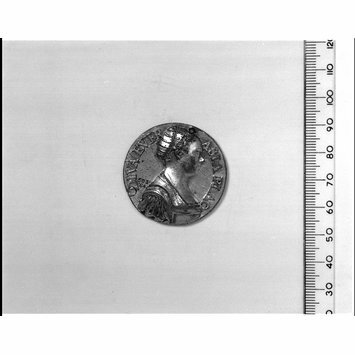 The reverse shows a statue of Venus Victorious, in a circular temple. Purchased in Paris (Piot sale, 1864, 25-30 April, £1 19s. 2d. ).